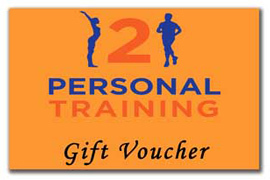 A 121 PERSONAL TRAINING gift voucher makes an ideal Christmas or birthday present for a family member or friend. Gift vouchers can be purchased for single sessions, 6 session blocks, or 12 session blocks of personal training, private yoga lessons and massage treatments. If you are based in SW London, then we can even deliver the voucher direct to your door! Simply call or email 121 PERSONAL TRAINING and surprise someone close to you with a memorable gift.